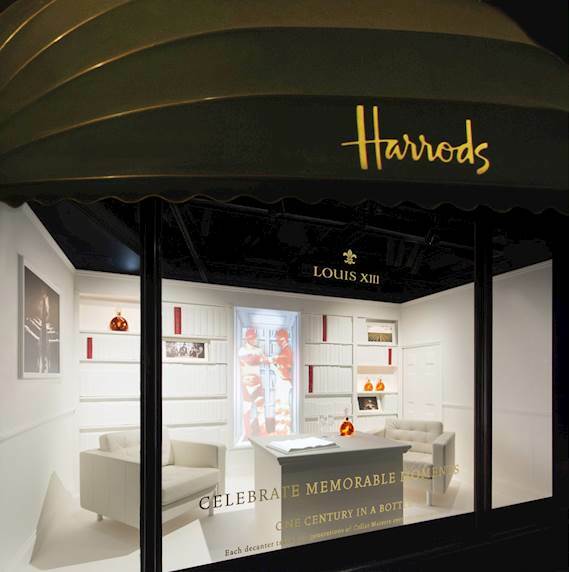 Challenge: Projection Artworks was appointed to create a new window display at Harrods for Louis XIII cognac to celebrate 100 years of the brand. 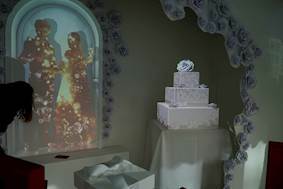 Solution: Projection Artworks mounted three ZU510T laser projectors to the ceiling structure angled down to project beautiful animations onto a book, wedding cake, bottle, and via a mirror – in a stand-alone window. 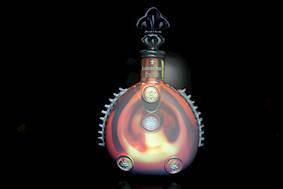 Projection Artworks was appointed to create a new window display at Harrods for Louis XIII cognac to celebrate 100 years of the brand. This needed to be eye-catching to members of the public from the outside and attractive to visitors in Harrods’ fine jewellery department. 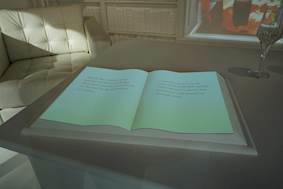 Projection Artworks mounted three ZU510T laser projectors to the ceiling structure angled down to project beautiful animations onto a book, wedding cake, bottle, and via a mirror – in a stand-alone window. The team chose the ZU510T because it is a bright high resolution laser projector, ideal for use 24/7 with minimal maintenance. Weighing just 11kg, the WUXGA projector boasts a brightness of 5,500 lumens. It has a 100,000:1 contrast ratio and, due to the combination of its solid state laser-phosphor light engine and DLP technology, produces exceptionally vivid colours. 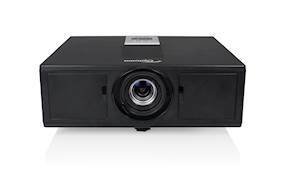 The projector has been independently tested and certified with an IP5X dust resistance rating and delivers up to 30,000 hours of reliable operation without the need for expensive lamp or filter replacements. This industry-leading lifetime is achieved using Optoma’s DuraCore technology, with advanced laser diode cooling techniques and an innovative dust resistant design. This filter-free design prevents dust and dirt from affecting the system, ensuring optimal image quality with minimal maintenance. It can be installed at 360° along its vertical axis, enabling projection onto floors and ceilings, as well as portrait mode and includes vertical and horizontal lens shift, plus centralised optics to make it easy to set up. The high quality 1.8x zoom lens enables flexible projector placement across a wide range of throw distances. Connectivity is extensive with an HDBaseT port included as standard and complemented by two HDMI inputs on the rear and a further HDMI port at the front. Projector control can be via HDBaseT, RS-232C or a traditional wired network connection, and a motorised screen can be coupled to the 12V terminal. DisplayMapper was used as the media server, to allow remote monitoring and adjustment, plus content updates. The window display in the Knightsbridge department store was unveiled on 30 March 2017 to tie in with the launch of LOUIS XIII’s first pop-up boutique - a concept store inviting clients to immerse themselves in the world of LOUIS XIII. Each unique window features exciting scenes inspired by precious life moments brought to life by spectacular 3D mapping. For over a century, LOUIS XIII has been synonymous with refinement and perfection the world over. Each decanter contains a subtle blend of up to 1,200 eaux-de-vie, 100% from Grande Champagne: distilled from grapes grown in the chalky soil of Cognac's Grande Champagne vineyards, they mature slowly inside age-old oak casks known as tierçons. Over the years, a mysterious communion between the air, the wood and the eaux-de-vie culminates in a magical intensity of flavours. Since the origins in 1874, each generation of Cellar Master has selected in our cellar the oldest and greatest eaux-de-vie for LOUIS XIII to maintain LOUIS XIII's legendary taste: today, Baptiste Loiseau is setting aside our finest eaux-de-vie, some of which will be part of the LOUIS XIII blend in 100 years.